INK Entertainment, Canada’s leading hospitality and entertainment company, is proud to present the sixth annual VELD Music Festival on August 5th and 6th at Downsview Park in Toronto. 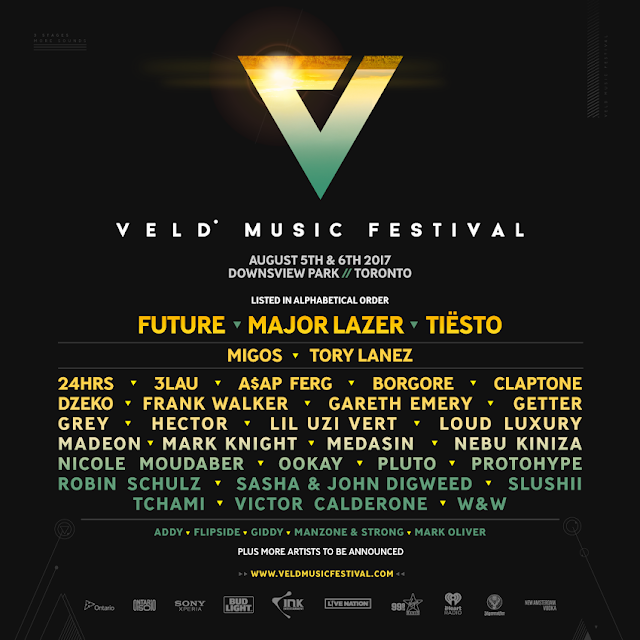 New this year, VELD Music Festival will boast three distinct stages, each highlighting more internationally acclaimed talent than ever before. 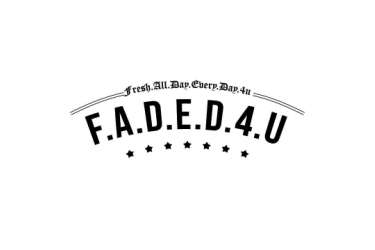 Each stage will offer diverse genres of music, including electronic, hip-hop, trap, indie, and underground, giving festival-goers more choice and variety. VELD Music Festival has one of the most unique lineups of the 2017 festival season. The main stage will see chart-topping artists like Future, Major Lazer and Tiësto, as well as Madeon, Tchami, and Robin Schulz. The second stage will feature talent like Tory Lanez, Migos, 24HRS and Borgore, while the third stage will host underground artists like Sasha & John Digweed and Mark Knight, as well as Nicole Moudaber. Full line-up information is below, with more acts to be announced at a later date. In order to accommodate the three stages, VELD will also be expanding the festival grounds, offering more on-site activations and activities to enhance the overall festival experience. VELD is proud to announce Sony Xperia, Virgin Radio and iHeartRadio as new corporate sponsors for 2017. INK Entertainment is Canada's leading lifestyle and entertainment company. Operating since 1982, INK Entertainment has demonstrated an enviable ability to read the pulse of ever-changing cultural times and tastes, responding with a host of successful enterprises, including critically acclaimed global restaurant brands Byblos (Toronto, Miami& Dubai), Weslodge (Toronto & Dubai), FIGO, MACHO Radio Bar, La Société (Toronto & Montreal), and STORYS Building; Canada’s largest Dance Music Festival VELD Music Festival; and a number of trendy nightclubs, including REBEL, Uniun, CUBE, and Dragonfly Nightclub.